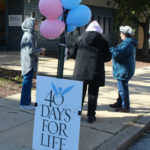 Volunteers with “40 days for Life” took part in an effort to offer alternatives to abortion in Wilmington and hundreds of cities across the world. 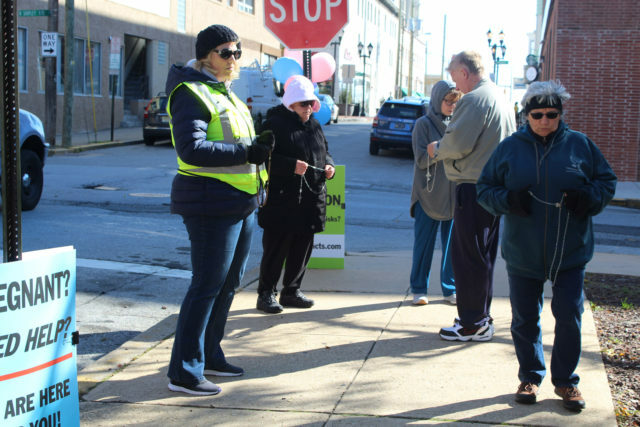 From Sept. 26 to Nov. 4, community volunteers took part in a coordinated international mobilization of abortion opponents. 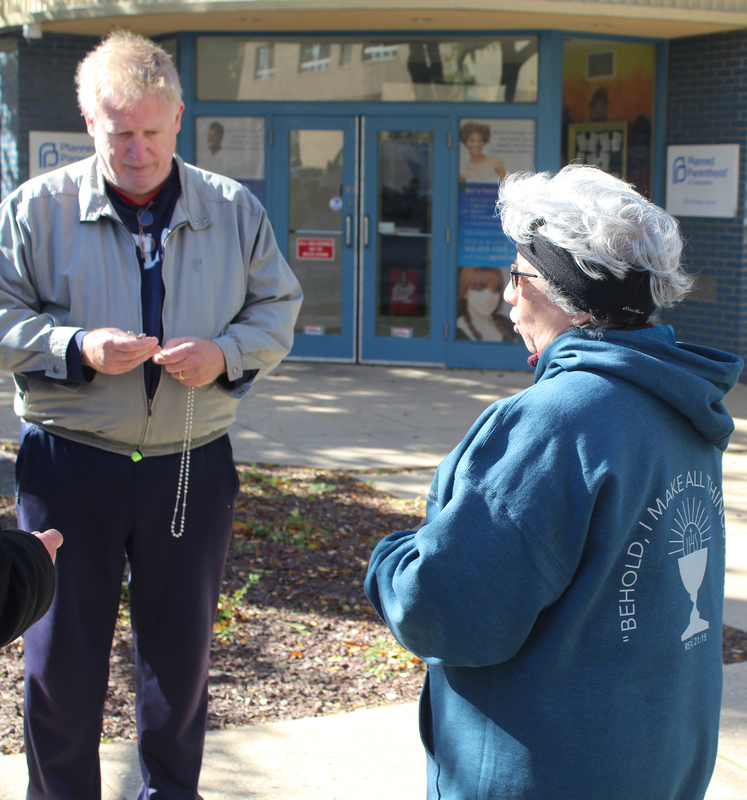 Volunteers pray for the end of abortion. Volunteers held vigils outside Planned Parenthood at 625 N. Shipley St. in Wilmington. 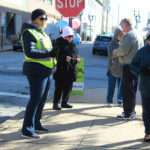 Local campaign director Julie Easter said the group counted two “saves” since September and were hoping a third woman was reconsidering abortion. 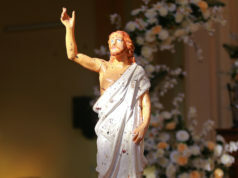 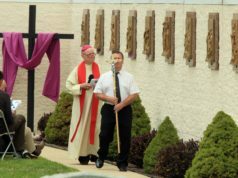 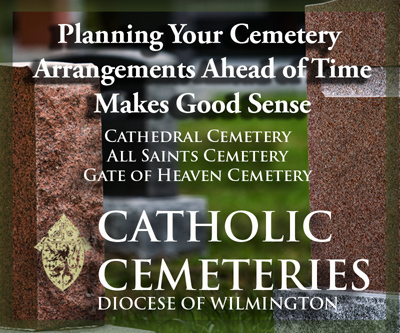 Easter and several other volunteers held vigils in Wilmington, including one on Oct. 30, an “abortion day” at the clinic, she said. 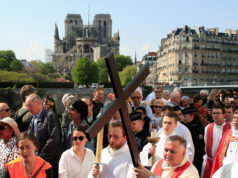 The group says volunteers conduct vigils in 24 countries with the help of 800,000 people. 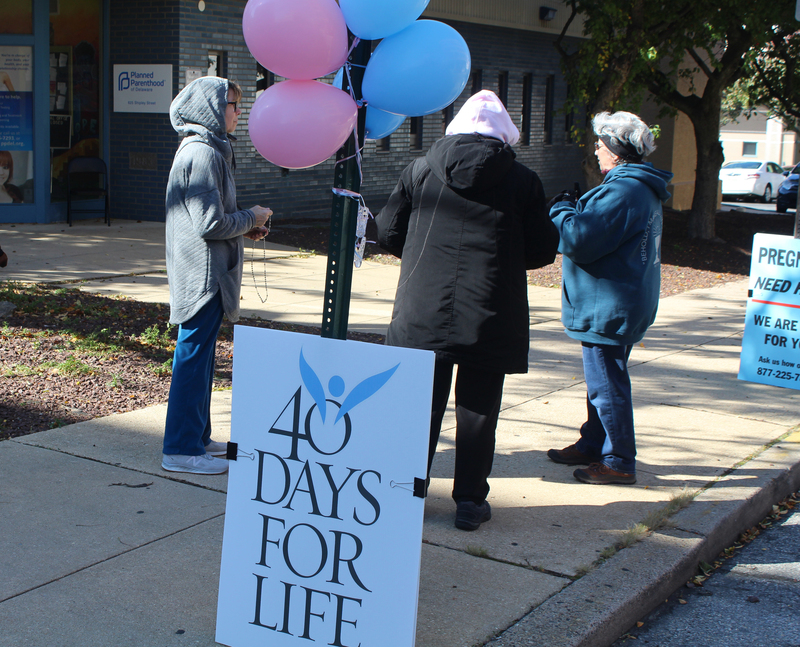 ’40 Days for Life” volunteers Gregory Wilkerson and Sabina Abbadessa pray the rosary during a vigil Oct. 30 at 7th and Shipley streets outside Planned Parenthood in Wilmington.